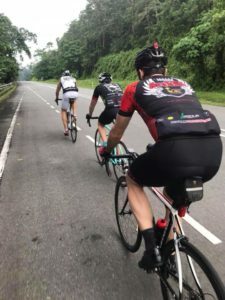 Having completed several cycling activities outside of Singapore in recent months I didn’t have the usual nervous energy the night before the Cameron Highlands trip. Thinking I was the first one to arrive at the scheduled 5am meet up time, soon realized everyone was already there filling up the support vans, their interior lights brightly lighting up the early morning darkness. Not unlike a busy Singapore F1 pit lane with people scurrying around. The strategy was to load a van for the casual riders and another van for faster individuals, this story covers the high energy group and Claudine Chan will write the story for the 2nd van( which you can find here ). So let’s get right into it, Day 1 by Singapore standards is a relatively short 53km with a total elevation of 1,582 metres of climbing (yes straight up), this same route holds Cameron KOM races. The “Queen’s Stage” Day 2 covers 92km with a total elevation of 1,817 meters with a final third day of fast descending over 53km where everyone jumps into the Bus for the ride back to Singapore at the end. This would be my 3rd trip to Cameron Highlands because the route is epic but manageable (with some training), roads quiet, weather is cool due to elevation, climbs are some of the best in the region, not too steep but definitely challenging and lastly always fun due to the company. The fast van consisted of seven riders, Mark “Chef “Wentz, Jerome “I want a new bike” Limozin, Keesjan “I like cabbage colour” KJ, Marc “complicated story” Lorenzi, myself and lovely couple Josephine “speaks well” Teow and Michael “teacher” Yap. Off we went to the Tuas border crossing, having left so early it was surprising to scoot by both borders with little fuss, yes that’s a huge win! The quick start was quickly muted by a traffic jam outside KL this put us off schedule by over an hour, eventually we made it to lunch in PJ for the BEST Nasi Lemak, yes it is soooo good. It’s always great to see Mr. Chew an older local Malaysian chap, very nice guy, not sure why he meets Joyce there every time, I think something is up…hmm. By 4pm we arrived at Simpang Pulai Petronas petrol station, it’s the same every trip a rush to unpack bikes, change, fill up and get ready for photos, not sure what I’m getting wrong but always seem to be the last one ready. With the prerequisite photo shoot and last minute bike checks completed the fast riders set off together. The weather was perfect, Mark and Marc led the pack for the first 7km, and thereafter Mark “the chef” had enough of the brisk pace and decided to ride with the following group leaving Marc Lorenzi to ride alone for the next 20 odd km’s. Having ridden Day 1 before, I paced myself by tracking the power meter, it took a bit of patience before finally catching up with Marc. The hills on this day are relentless, not steep but with close to 1,600meters of climbing over a short distance pacing is the name of the game (ppl are tempted to go out fast due to energy and sitting in bus for hours). The roads have little traffic and the cool air from elevation soon accompany you all the way to the top where you end at the strawberry farm. Due to the traffic jam everyone made it to the top in pitch darkness. Ming finished first followed by Marc Lorenzi, Keesjan KJ, Jerome Limozin and the 2nd van trickled in as well having started a bit further up the hill due to time constraints. Dinner was a truly sumptuous Chinese meal consisting of well… everything, generous portions, beer and stories of the day’s ride. Topics around the necessity for 32 teeth cassettes, how the Strava segments looked much easier than the actual ride, getting new bikes interlaced with dangers of squatting on toilets (that’s another story). The table was set for Day 2 after a strong finish by Marc Lorenzi, KJ and Jerome. Kudo’s to all that rode day 1! Day 2: 92km, 1,842meters of climbing. In our apartment we had 3 occupants, Jerome Limozin, Mark Wentz and myself, the apartments are nice, includes kitchen, an on-suite bathroom (you know who you are..) quite comfortable, not 4 star but good enough for crazy cyclists. Mark “the chef” Wentz came into his own every morning cooking scrambled eggs and turkey for breakfast. On the last day we had a buffet of sorts including nuts, fruit bars, scrambled eggs and turkey, we made our own 5 star experience… Back to cycling…. Riders loaded up bikes and gear onto their respective vans in anticipation of a fantastic day, enthusiasm was contagious. The bus ride out to the start point takes about 1.5 hours which feels short actually since most people nap along the way, the ride down allows you to see the climbs to be ridden on the way back to Tanah Rata. Arriving around 7am we conducted the usual photo ops and bike checks, we then set off towards Tanah Rata, having ridden Day 2 and examined previous rides I jotted down the key climbing segments onto my handlebar, I was excited to try and crack the top 10 on Strava. The first 40km of rolling hills were fantastic, cool weather and nice company, Marc Lorenz was pushing at the front, the group consisted of Jerome, KJ and myself, doesn’t get better than riding with similar calibre of riders. 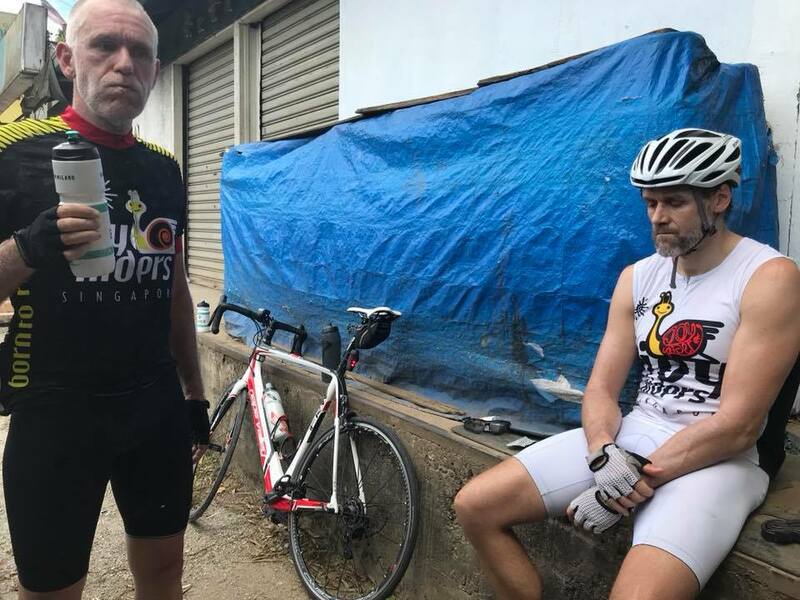 The pace was quick when we hit the first significant climb of the day – 43km mark, Marc Lorenz, KJ and I took turns at the front, you soon discover your fitness when you ride an extended 10km hill section. KJ strategically dropped back which left Marc and I to pace each other over the last kms of climbing. After this effort the legs start to burn, lactic acid builds up, this is when your training comes into play. I pulled a gap but Marc chased back up, we then took turns at the front, could feel that we were getting close to the ¾ way point or the break stop at the Shell gas station before last 9km. At 61km and one of Marc’s turns at the front we ran over some gravel and I punctured, in an effort to speed things up Marc offered his Co2 canister however the pressure was too much for the tire ripping the sidewall (I don’t believe this was done on purpose no matter what anyone says, both the gravel and Co2 parts lol ). By this time KJ had caught back up and it was decided that it was best to break the “leave no man behind rule” since we didn’t have a spare tire for me. At the 83km way point at Shell gas station Marc arrived first and KJ second, by this time everyone was pretty tired, KJ went on to complete the final 9km to the top along some awesome and challenging switchbacks followed by Marc and Jerome rounding out the 1st van. Dinner for the evening was hot pot, let’s just say it was pretty good. Thanks Josephine for guiding the westerners on the fine art of eating hot pot. Basically it goes something like this, throw in the ingredients, let it come to a boil and repeat. Mark the Chef Wentz took it all in stride, been there done that. I did not ride day 3 since tire was shredded, the descent was different this year since the usual route had a lot of potholes. In saying that the alternative route maybe the way to go in the future, it’s a pretty good route on its own marking day 3, after sitting it out in the van definitely felt I missed something good. Long fast descents with significant climbs made day 3 a fantastic ride, we end up at the same start point as day 1. The down side to the whole weekend unfortunately was knowing that Philip in van 2 had gone down during the descent due to gravel. Poor Philip shrugging it off like it wasn’t a big deal even though it looked pretty bad. Good news is we all made it back to SG eventually, Philip got some stitches and is apparently itching to challenge Cameron again. I like many others look forward to challenging the great Cameron Highlands again in the near future, why? Fantastic scenery (tea plantations, green houses lit up brightly at night), the routes, great climbing which is not too difficult if you pace yourself, great food and friends. 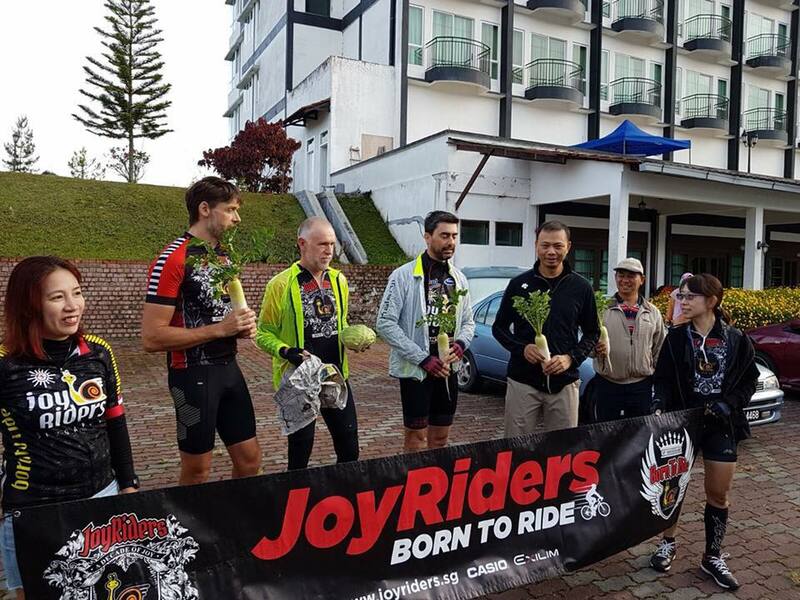 Respect to all the riders that came on this trip, you never forget Cameron Highlands should be on your bucket list of rides in Asia, no question. 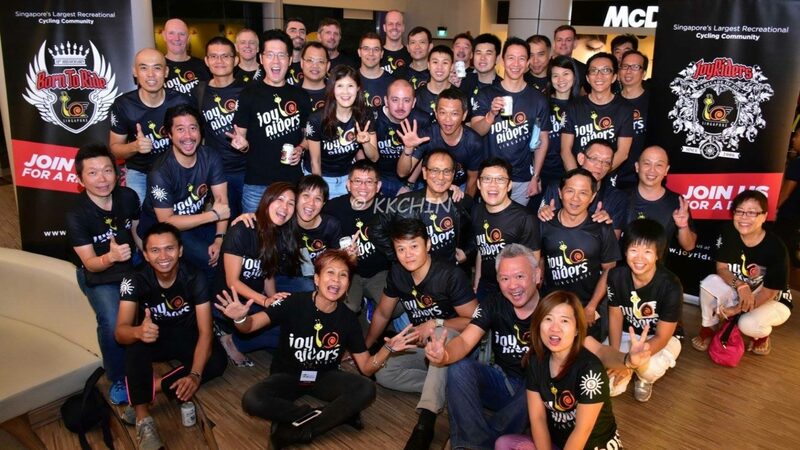 See you all on the SG roads and ride safe, go Joyriders.